There are important lessons to be learned from the past and technology is no exception. While some of the lessons can definitely be put in the ‘what not to do’ bucket, we can also see what works, what’s easy to use and what just gives people a certain warm-and-fuzzy feeling when it comes to interacting with technology in our day-to-day lives. 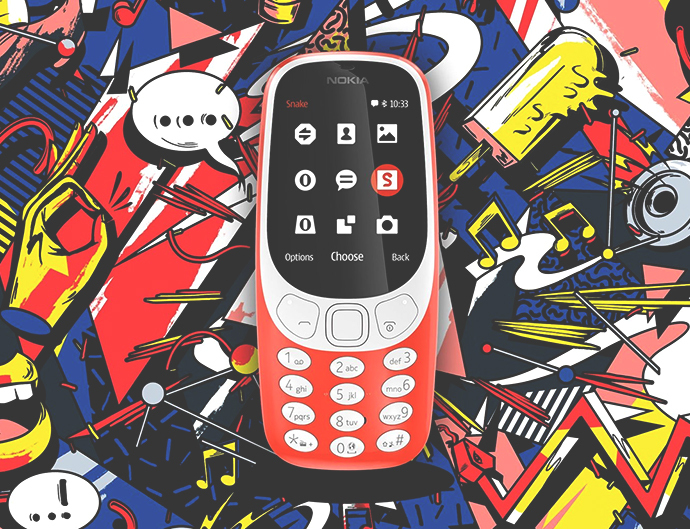 Nokia, an industry giant in mobile handset manufacturing, recently released a modern reboot of the classic Nokia 3310, which was one of the best-selling mobile phones in history. While the handset still has its classic rounded shape, a full keypad and an extra-long battery life, the design is also sporting some modern features such as a 2.4 inch full-colour touch screen and a MicroSD card slot to support up to 32GB of memory. There’s just one big problem with the rebooted handset – it only supports a 2G signal. While that may be all well and good where the handset is being sold in Europe, 2G mobile networks are shutting down in Australia. Telstra shut down their 2G network in late 2016. Optus, shut down their 2G network in WA and the NT on 3 April 2017, and will turn off 2G in all other states and territories on 1 August 2017. Vodafone will follow suit in September 2017. The shutdown of the 2G network means that 2G handsets won’t work, so we’d need a 3G or 4G version of the handset to get it working down under. We’re hoping that the popularity of the product will push manufacturers to release similar user-friendly reboots suitable for Australians! It would a great way to keep even more Australians connected to telecommunications services with devices that they find easy to use. After all, not everyone is in love with the new-fangled touch-screen designs, and they need phones too! While you may have to wait a while for a 3G/4G retro-style mobile handset to hit the Australian market, there is still one way that iPhone and Android phone users can get a healthy dose of Nokia nostalgia! I am talking, of course, about Snake – one of the most original greats in mobile gaming and a vivid part of most 90s kids’ memories. Available on iTunes and the Google Play store, the Snake ’97: retro phone classic app fully replicates your early 2000s mobile gaming experience, right down to the green screen and pixelated graphics. While we’re on a retro roll, here’s a few other old-timey gadgets that you can use to get a fix of the good ol’ days – best of all, they work today! 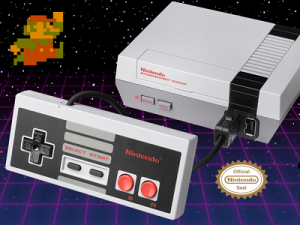 This isn’t the first time we’ve gushed about the Mini-NES but it’s worth another mention here! A miniature reproduction of the classic Nintendo Entertainment System from the 1980s. You can plug it into your TV and enjoy any one of 30 classic NES games including Donkey Kong and Mega Man 2. It’s definitely an excellent idea for a present if you have any grown-up gamers in your life! One gripe that many users have about modern keyboards is that keystrokes just don’t feel distinctive enough – especially when compared to the mechanical typewriters of days past. Sure, you could just buy a mechanical keyboard, but what about the vintage aesthetic? 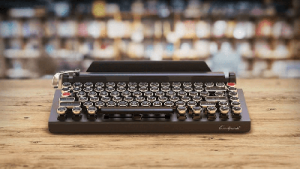 The team over at QwerkyToys have joined old to new with the QwerkyWriter – a beautifully designed mechanical typewriter which can connect wirelessly to tablets, smartphones and modern computers which support Bluetooth such as iMacs. If you’re less than impressed with today’s home phone handsets, why not go vintage? 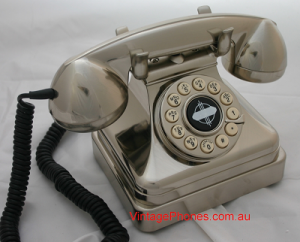 Vintage Phones is an Australian-based business that’s doing some seriously cool stuff with refurbished and replica vintage telephones, some of which date all the way back to the 1920s! These handsets have been meticulously tested and some models even support touch-tone (DMTF) dialing, which is the kind of dialing you need in order to use the phone menus (e.g. “press 1 for support”) used by call centres and phone banking. Which tech would you like to see make a comeback in 2017? Let us know in the comments. Like a brick that was installed in my company vehicle. User hand held mobiles were still a dream!!! I would like to know if somebody can come with a way of converting film SLR cameras to become digital. I’m sure there are loads of people, like myself, who have expensive SLR film cameras that are basically redundant. I really loved the old Nokia “brick” I do not like the touch screens or the size of them etc. I appreciate functional simple design and being an ex Executive Assistant, I prefer a better typing pad – especially the clearer larger feel and typeface. Great for people with limited eyesight, we can feel our way around the pad and love the large clear print. I wish manufacturers would ask us ‘PA’s what we look for in these products – we know what shortcuts are functional, useful, and also what is not necessary. Hope this is useful. I love iinet and my plan – dongle and phone – perfect for me. Some of us “oldies” don’t need all the extras on a smartphone, nor like the fact that it’s too big to fit in your pocket. I would love to see my old Samsung SGH-A412 flip phone make a comeback in 3G. I know a few people who agree with me too. I can tell you about my early years in administration – using a plug in telephone system, the early word-processing program Wordstar, the telex machine through to the advent of the early fax machine just two years later, mimeograph printers … that was in the early 80s! Not so long ago and yet such incredible changes. Keyboard is the one needed. To Hell with Google/Android. Physical keyboards work best for arthritic hands; small screens can be phones, not tiny computers. I cannot believe that Australia has been suckered 100% by the hegemony of Google/Android touch screen/data=money siphoning devices. Is this where laissez faire neo liberal worship of “free market economics” has landed us? Discrimination based in tech that is supposed to liberate us – but only if our functional bits can meet their challenge? I’ll go with out – I have to. Wow, I’m glad I’ve found some other Nokia Brick fans. I have even kept mine for all these years but don’t use it of course. I stopped using the latest mobiles some years back because a hand injury and the need to wear reading glasses made it all just too hard. I did get a new Nokia 3 years ago, but it lived in a soft bag in my wardrobe until the shelf above it feel down and struck it a terminal glancing blow. I might reconsider a new vintage model when it becomes 4G. Until then, it’s an iPad for me. Interesting that the old brick has so many fans. I’ve had a few other smaller smarter mobiles since but strange things happened to them, like being dropped by a child or hit by a falling shelf! 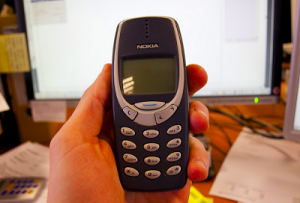 I’d love that classic Nokia with its 60’s styling to return once it’s 4G enabled. Easy to use and read. Until then, I’m off phones and just stick to my iPad.